Although, it’s really a bad idea to enable auto login in Ubuntu 11.10 (or any system, accessing something without any kind of authentication or authorization seems a bad idea in web world or even on your local computer) but in some cases you might want to turn off authentication in beginning- specially if you’ve BIOS password enabled (I do use BIOS password but it doesn’t mean that I’ll enable auto login at start). Ubuntu (or similar distributions such as Linux Mint 12 or most of the Linux Distributions will probably do the same) asks for password each time (by default) when a user tries to perform any administrative tasks – so if some one gain access to your computer then he/she won’t be able to compromise with your system in that way,so might think there is no problem in enabling auto login? Well you’re absolutely wrong. Your system, data and other related accounts (e.g if you have gmail logged in your browser, then he can easily use your gmail account to send emails) can be compromised in various ways. So you are not supposed to enable auto login. 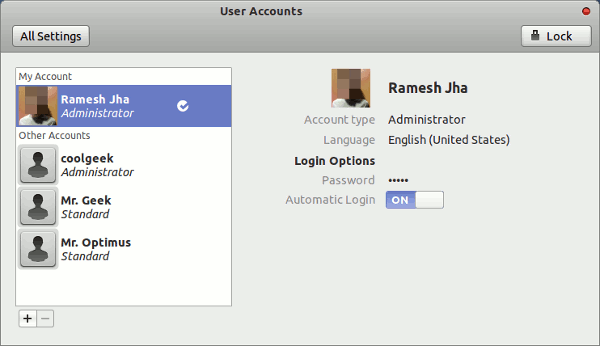 Anyway, if you want to enable auto login then first click on System Settings – > User Accounts (or click right corner -> then icon) and first unlock it (just authenticate your self with your ubuntu login password). Now select the user from the left side, for which you want to enable auto login and just click on the toggle icon near the Automatic Login option. NOTE : Enabling automatic login is a great risk for your data, system and programs – so please do not enable automatic login if you want things such as a secure system. Ubuntu 11.10 (oneiric ocelot) uses LightDM, a simple, light weight and fast login manager (older versions of Ubuntu were based on gdm (Gnome Display Manager)). Ubuntu 11.10 has arrived (currently beta 2 has released, final would be released on Oct 13, 2011) changes, including some changes in selection of default applications. Anyway, the lightDM seems to be working well, but if you want to change/tweak the appearance and look of LightDM then just follow the instruction given below – Relax, it’s very simple! 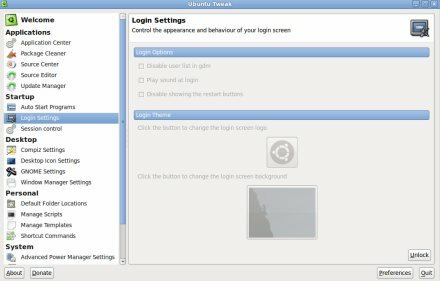 In older versions of Ubuntu, login screen (i.e background, logo, theme etc) gdm could be easily configured or customized with any third party application like Ubuntu Tweak or Ubuntu Control Center, but those methods doesn’t seem to working in Oneiric, so in this post you will learn how to change/customize login screen – background/wallpaper or logo from command line (or using a simple GUI application). Then a new window will appear, where you need to provide the path for the background image. 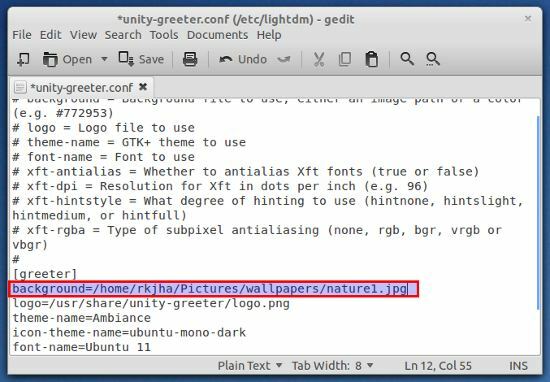 In a similar way, you can change the default logo, by editing the just below line in unity-greeter.conf file. 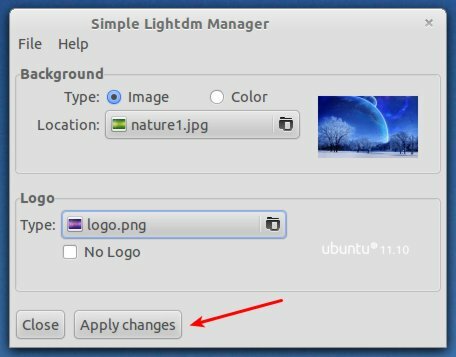 Simple LightDM Manager is a simple tool, written by Claudio, which will allow you to change the lightDM background and logo from a gui. There’re different options such as select a color for background or specify the location of the picture to view as a background image at login screen. Similarly you can specify the image to be used as logo in lightDM login prompt. After a fresh installation of Ubuntu 11.04 – Natty Narwhal, all you need is some cool Tips and Tricks to customize Ubuntu 11.04 as you want. In this post you will learn – how to customize the login screen i.e in the end of this post you will be able to change the login screen/window background, icon etc, probably due to the reason that the default login background doesn’t appear to be pretty. Ubuntu 11.04 has unity as the default desktop (Although Gnome 2.3 is also installed and you can select the desktop at login prompt). Unity shell/desktop supports gnome applications so you can customize the Unity in almost similar way. There are lot of ways to do a single thing/task in Ubuntu , and login screen isn’t an exception i.e you can also do that through command line/ terminal but we’ll stick to the most simple way (through GUI) which will allow you to configure login screen as well as some other advanced settings to tweak Ubuntu as you want. Relax, changing/customizing login screen/window in Ubuntu 11.04 is not a big deal, it will hardly take a couple of minutes. step #1 : Install Ubuntu Tweak. Follow this tutorial (if you don’t know how to) – install Ubuntu Tweak on Ubuntu 11.04.
step #2 : Now, start Ubuntu Tweak, go to main menu (it’s there in top left corner on your desktop) , search for ‘ubuntu tweak’. step #3 : Then, click on Login Settings and enter your login password to unlock it first. step #4 : now click on icon (if you want to change that) or background images; then locate the new image file (but remember the image should be there on your hard-drive partition where you have installed the Ubuntu 11.04). step #5 : That’s ALL.. to verify where you have successfully changed the login screen or not, restart/reboot (or just logout, it may works) your computer. 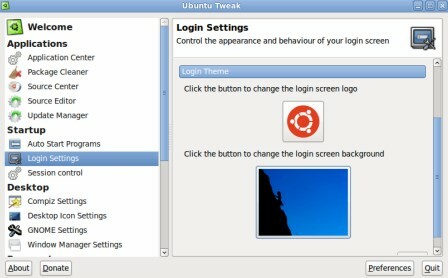 This post will explain you about changing login screen in ubuntu 10.04 by using some tools.In older versions of Ubuntu you could use change the background image and fonts from Appearance settings but in Ubuntu 10.04 Lucid Lynx there is no options available there.So we will control the login screen by using an extra utility – Ubuntu Tweak. Go to the link(given below) if you haven’t already installed ubuntu tweak and come back again to this post after completing that. step2 : Open Ubuntu Tweak(Applications->System Tools). 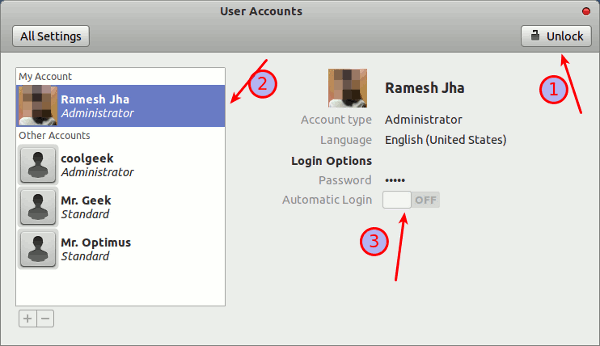 step3 : Click on Login Settings(Under Startup section) and enter the ubuntu login password to unlock(Just like other authentication ..for security reasons). step4 : Then change the settings by checking on the appropriate boxes OR selecting custom background images and logo under login theme..and restart(or just logout)your computer to see the changes at login screen. I hope you enjoyed reading this article ..Let me know your thoughts through comments.